There are no surprises on the side selected for the World Cup sevens tournament. There isn't a large pool of players battling for these positions and Luke Bradley is the only name that comes up as the 13th man. John Moonlight retired, Tevaughn Campbell returning to football has opened two positions giving Luke McCloskey, Admir Cejvanovic, Andrew Coe and Matt Mullins a shot at full time selection. 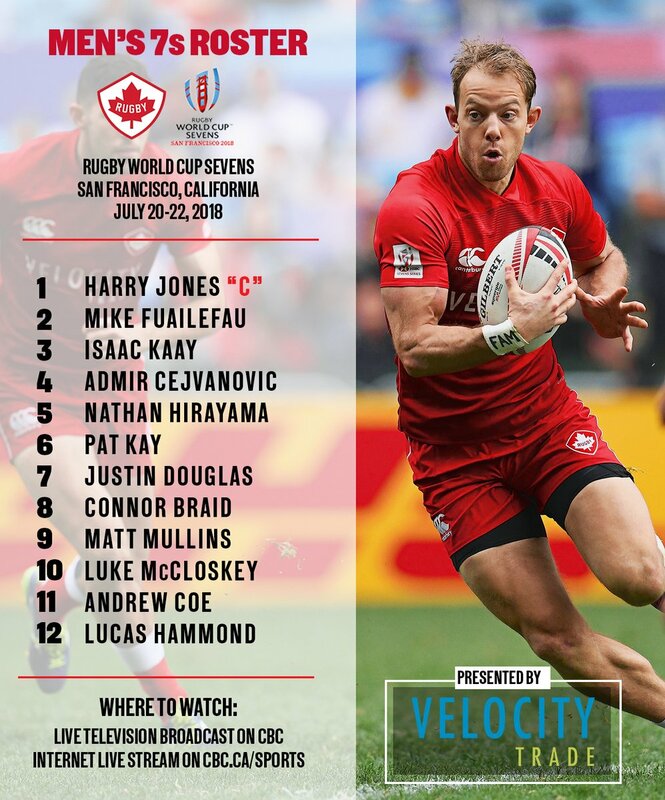 There have been experiments with some of the 7s players being released for XVs duty, Connor Braid, Andrew Coe and Admir Cejvanovic getting a look during the qualification process with USA and Uruguay. None of the players particularly shone in the transition. Luke Bradley is the one player where it actually makes sense to live in both worlds. He's not getting 7s playing time on a regular basis and he deserves a shot on that November team for the repechage. He's a wasted resource right now and Canada aren't exactly flush with loose forwards at the present time. Hopefully if a Possibles v Probables game comes up in the lead up to selecting the repechage team, Bradley will be given a shot. Canada face PNG in their first match, a game they should win if they play to their usual standard. If they win that they play Argentina after a 6 hour wait, it will be Argentina's first match. The winner of that will go into the quarter-finals of the championship, the loser into the challenge competition.